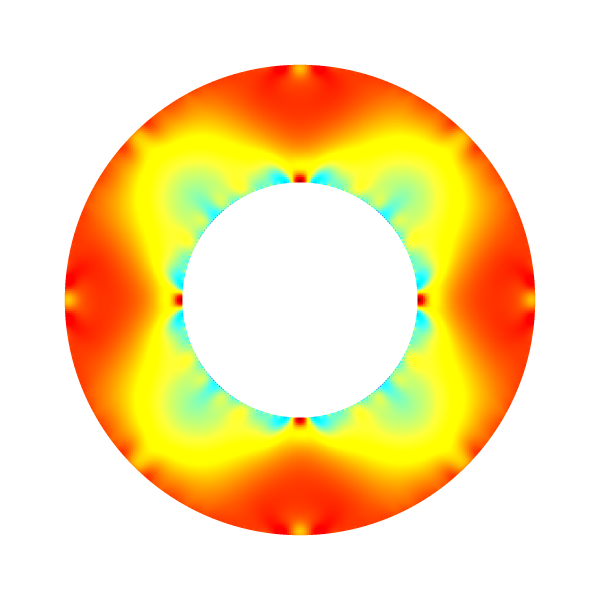 We test embedded boundaries by solving the (Stokes) Couette flow between two rotating cylinders. 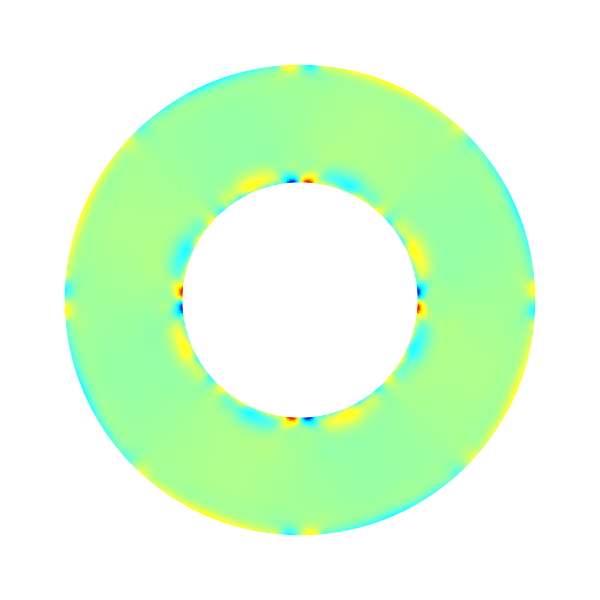 The geometry of the embedded boundary is defined as two cylinders of radii 0.5 and 0.25. 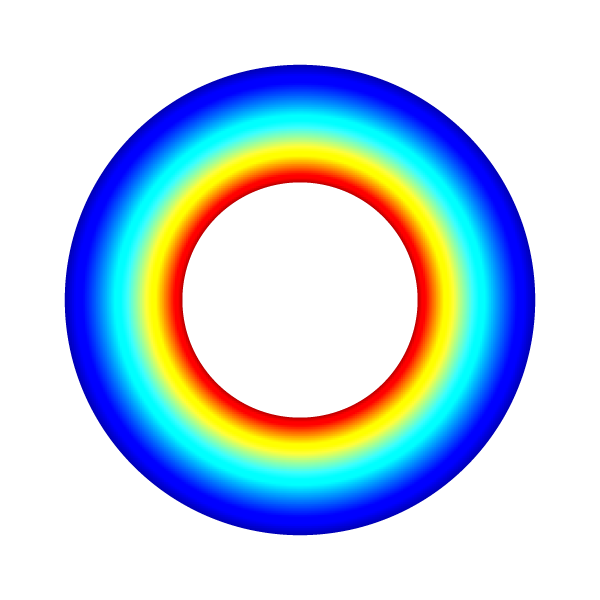 The outer cylinder is fixed and the inner cylinder is rotating with an angular velocity unity. We initialize the reference velocity field. We look for a stationary solution. We compute error norms and display the angular velocity, pressure and error fields using bview. Convergence is close to second-order.